One of the big changes in our lives since having an allotment is the way that we eat. Or rather ‘what’ we eat. Making what ever happens to be at its peak, fruit, vegetable or herb, the central theme rather than a side show. I am also likely treat it in a far simpler manner preferring to let the flavour and freshness be at the fore. 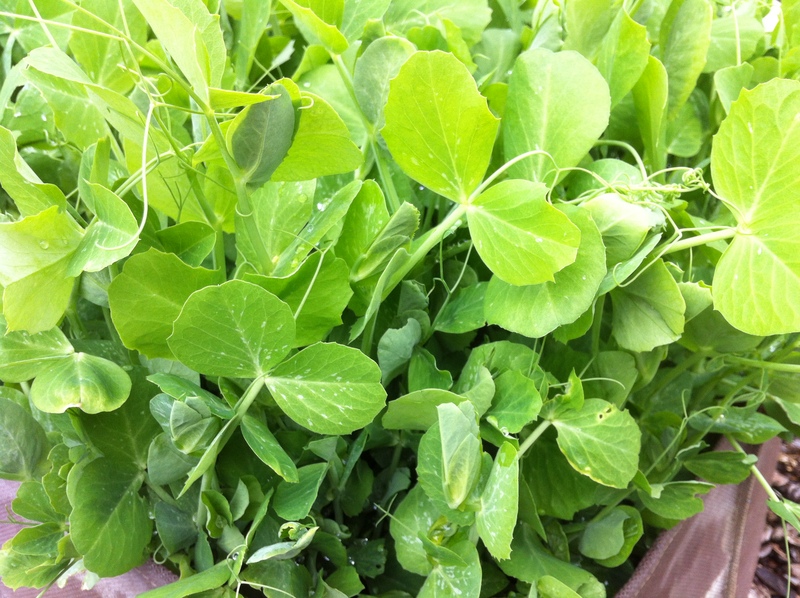 Yesterday I picked some petit pois and sage from the plot. 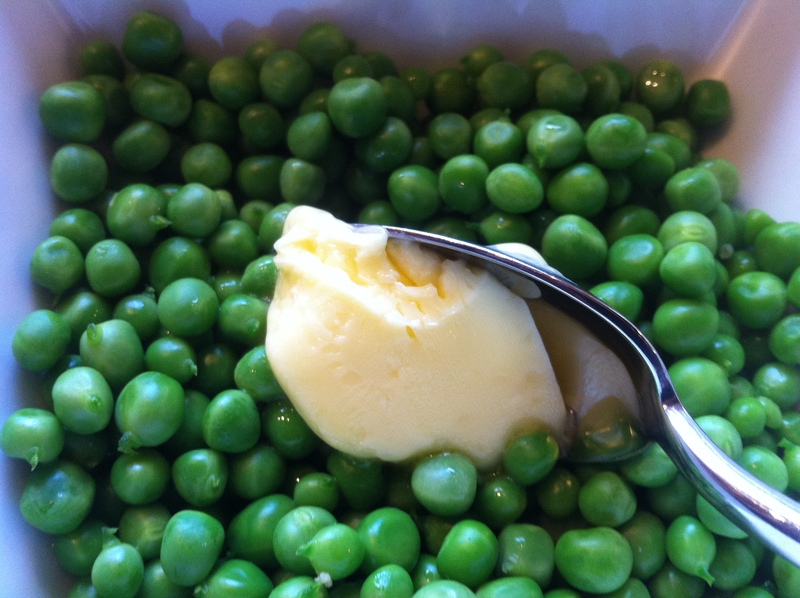 The peas served with an admittedly enormous spoonful of salty French butter. 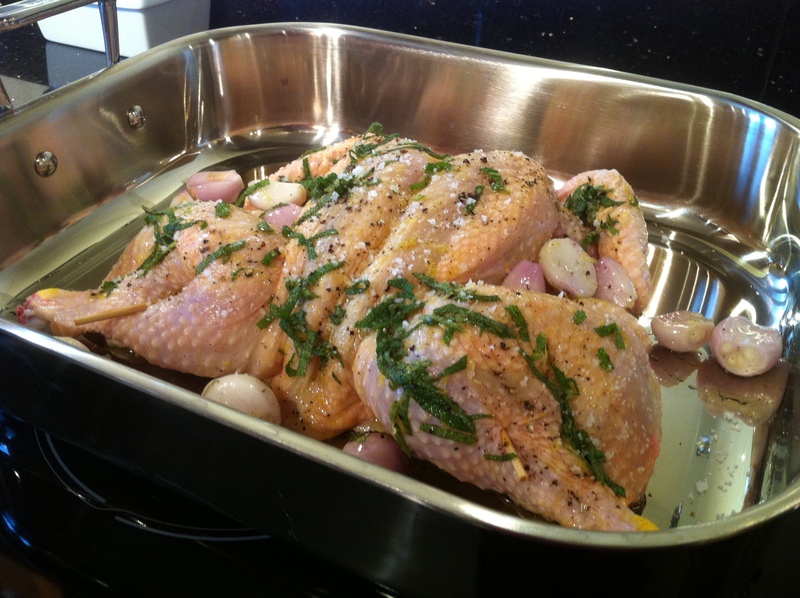 And a spatchcock chicken roasted after marinating for a couple of hours in the sage. Stir together and rub over the chicken. Leave for a couple of hours. Roast and baste as normal. I add a glass of white wine to the pan juices twenty minutes before the end of the cooking time. Serve with the pan juices spooned over and which ever vegetable is taking the starring role in your Sunday lunch. 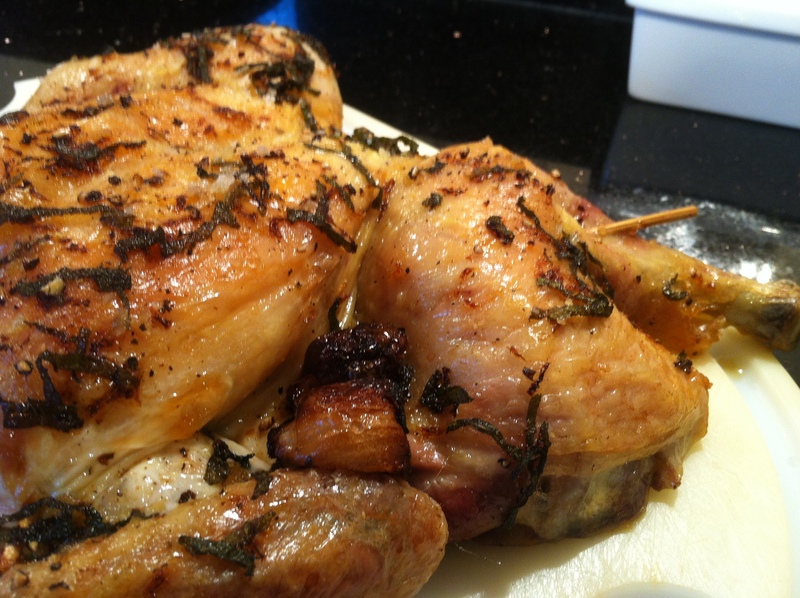 …an impressive way to cook a chicken as the breast meat remained moist. If the weather permits a good way to cook on a BBQ and a very tasty finish. Be careful with the wooden skewers!! Have got to stop reading these delicious posts when I am feeling peckish LIKE NOW! Laughing. Thank you David. The spatchcock does cook far quicker than normal a normal roast. 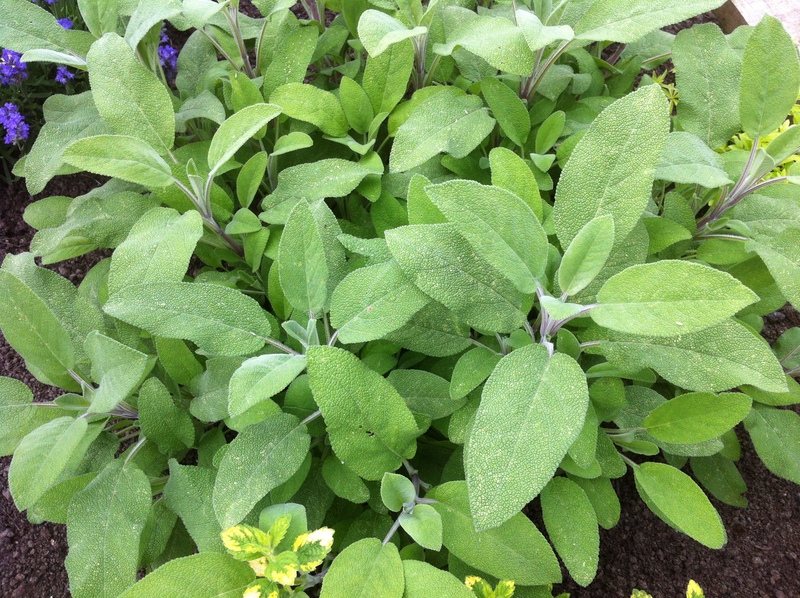 Sounds great – Sage makes a change from Tarragon, which is so often advocated with chicken. Thank you Mark. Oregano also a good one.